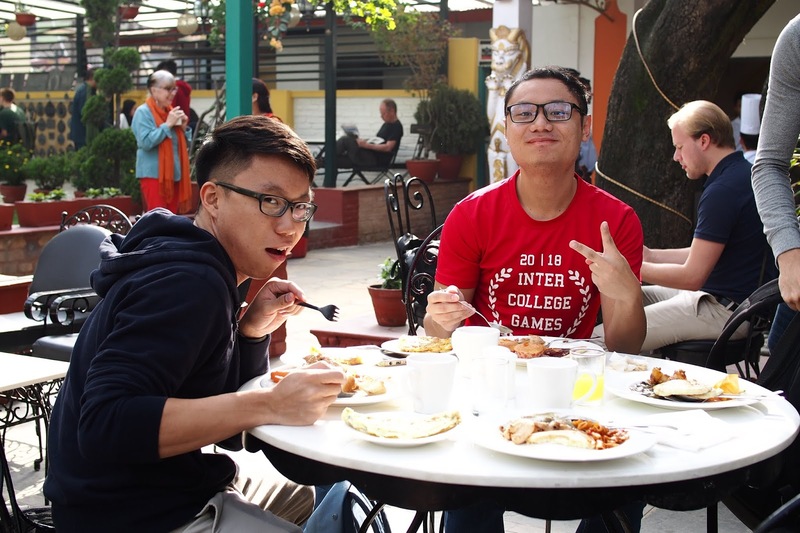 This blog is a repost of a blog written by students from the College of Alice & Peter Tan (CAPT) in the National University of Singapore (NUS), who participated in an social innovation exposure visit in Nepal. Brain drain – Despite having a huge pool of youth capacity, many of them are unable to find decent-paying jobs in Nepal. They choose to either study abroad and immigrate, or work as foreign labour in neighbouring countries such as South Korea and Japan. Entrepreneurship culture – Small-medium enterprises employ around 57% of the total workforce in Nepal, and many of them take the form of mom-and-pop shops we see almost everywhere. However, they have a huge failure rate as they sell almost identical items as the shops next-door and most of them did not do any market research before starting their businesses. Bikas Udhyami works on 4 different areas to address the issues that they have identified above. Firstly, they rolled out Nepal in Data, a secondary data collection service that gathers critical data on Nepal’s demographics from various reputable sources and reports, and presents them in simple and coherent charts that are easy to understand even for children. 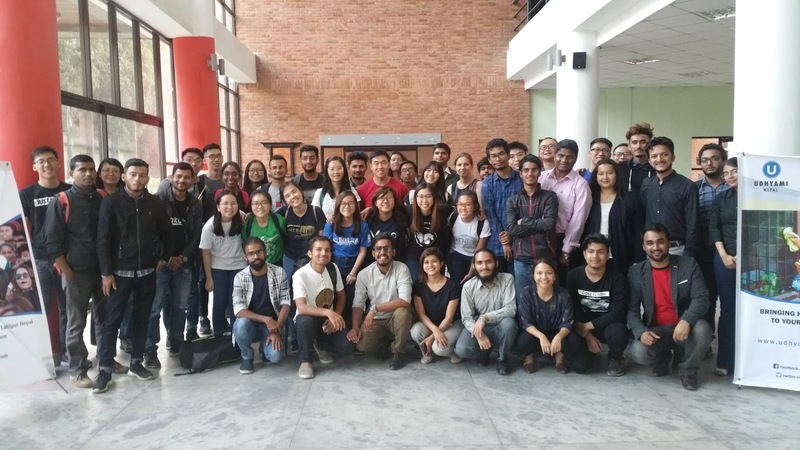 Their business model is centred around collecting, cleaning and analysing data for government officials but like many startups, they face challenges collaborating with the government due to the high turnover rate in Nepal’s unstable political scene. Bikas Udhyami also operates the Catalyst, a blog that serves as a platform for youths to learn leadership skills and produces inspiring stories of fellow peers that have found success in their startups. It was interesting to see how the Catalyst is able to ride on the social media wave by publishing their articles on Facebook and has amassed a following of around 10, 000 people who shares their posts with their friends. households or businesses to collect their recyclable waste based on the demand and schedule set by the households or businesses. 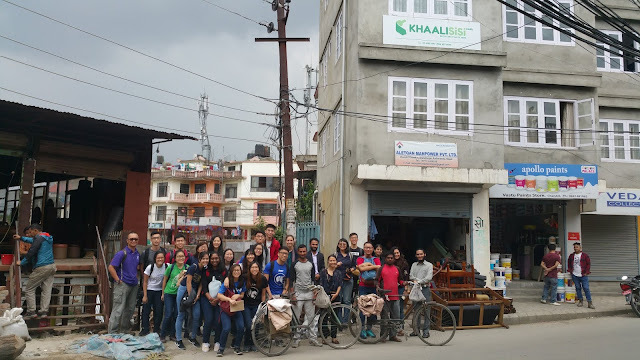 What made Khaalisisi stand out from other recycling companies is how it seeks to address both environmental and social problems in Nepal. They view waste not simply as rubbish but as a resource that could be saved from landfills and contribute to a closed-loop economy in Nepal. In addition, they give identity and dignity to the Khaalisisi friends by issuing them identity cards with the Khaalisisi label. Khaalisisi friends were previously looked down upon by the public as they were part of the informal sector and belong outside of the caste system, but with the identity cards, people recognise them by name and face, and greeted them pleasantly rather than throwing the waste at them when they came by. As such, it was heartening to hear that the company has gained recognition worldwide and was nominated in the Google Business Groups Stories Contest 2017. After lunch, we visited a scrapyard briefly where we learned how the locals make a living out of recycling waste. There, we see stacks of used glass bottles and a man recycling copper out of old wires. The owner of the scrapyard also told us that people would sometimes come by and buy old spiral stairwells that were abandoned at the scrapyard. 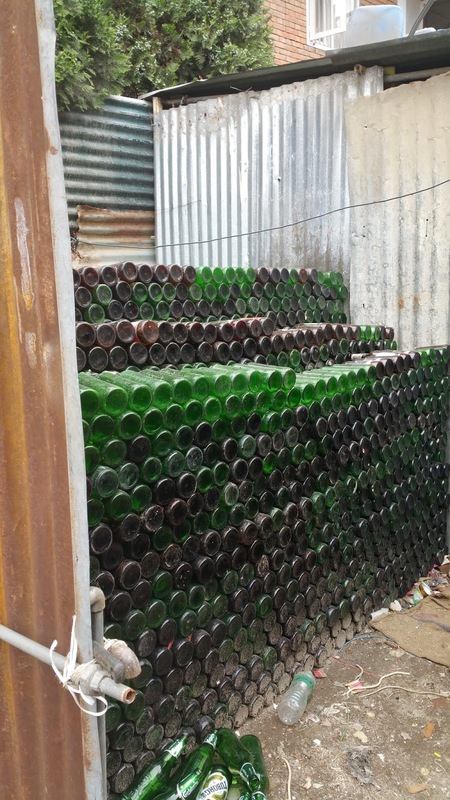 This truly reflects how reusing and upcycling is inherent to the local culture as well. Our day concluded with an Idea Jam session in Tribhuvan University, one of the local universities in Nepal. After sharings by several founders of social enterprises, we were broken up into smaller groups together with the Nepalese students and were able to practice our Design Thinking skills with them. Each group went through the different stages of the design thinking framework and came up with their own ideas for social enterprises/charity that have great potential. Ideas range from a simple mobile application to check bus availability to more ambitious ones such as setting up an organic farm in the rural village by hiring and teaching the local farmers on how to grow organic produces. From the smiles and applause of the audience, it was clear that everyone enjoyed their time hearing each other’s ideas and contributing insights to the social innovation scene.